Yesterday was the trading deadline in Tout Wars. You can see the NL standings by clicking here. I currently have 58 points. As recently as the third period in July I had 73 points and was battling with four other teams for the title. But then a series of injuries, which cost the season or serious playing time for all my stars (Hanley, McCutchen, Tulowitzki, Ryan Zimmerman, and dreadful play by Jay Bruce), knocked me down the ladder. Now I’m playing to stay above 60 points, which is where a next-year FAAB penalty kicks in, and to gain as many places as I can, to earn an earlier reserve round pick next spring. Alas, there was no easy path to gaining points. While I’m in last in RBI and Runs, I still have points in HR and SB to defend and to attain, so selling off my hitters for pitching didn’t work. Similarly, I’m in a fight for Wins and Strikeouts, as well as in a scrum for ERA and WHIP. The interesting thing yesterday morning was that the return of McCutchen and Hanley had stabilized the team in HR, and I was content to ride with the FAAB hammer and my squad going forward, hoping that Zimmerman and Votto might make contributions in the last couple of weeks. I was getting enough playing time from the scrubs I’d picked up to possibly hold on. But then I got an email from Scott Wilderman saying he wanted to trade Kenley Jansen and Francisco Rodriguez. Weeks earlier I had tried to pry them from him for some starting pitching, but he didn’t want to do it. Instead, I ended up trading Rafael Soriano away, so that now Scott’s saves had little value for me. I almost said no to him, but then offered him Wily Peralta and Alfredo Simon, who have been struggling a bit and aren’t huge K guys. He said yes. Kenley Jansen and Charlie Culberson for Jordan Walden and Scooter Gennett from Brian Walton. Francisco Rodriguez and Kevin Frandsen for Tyler Clippard and Chris Owings from Mike Gianella. The only downside on this was I was hoping to turn Frandsen into Dilson Herrera, but as it turned out my bid (which I had to withdraw) wasn’t nearly high enough. So, I’ll take my chances with Owings, who isn’t expected to play full time, but should come off the DL today. Having replaced two starters with Clippard and Walden, I looked to FAAB and picked up Dylan Axelrod and Felix Doubront, both of whom have looked good lately. My hope is some extra strikeouts and some good innings, though this is a risky proposition. Still, I now have Clippard, Walden, Doubront, Axelrod, Owings and Gennett instead of Peralta, Simon, Broxton, Diekman, Frandsen and Culberson. There’s something to be said for fresh faces. Today my Tout Wars team lost Troy Tulowitzki for the rest of the season. In an OBP league, as Tout is, he’s earned close to the $29 I paid for him, so this doesn’t count as tragedy. And I got him for $29 because he hasn’t been the most durable player over the years. But if you read this piece I posted the other day at ToutWars.com you’ll see that losing Tulo wasn’t half my problems. Note that since I posted Andrew McCutchen went on the DL as well. It was a fun run, and I just hope I can stay in the fight for fourth. Work on the Fantasy Football Guide 2014 hasn’t distracted me from my fantasy baseball teams, but it has distracted from writing about it. Last weekend I made a trade with Phil Hertz in Tout Wars NL that might be of interest. Background: Tout is using OBP instead of BA this year, as we’ve talked about, and in the auction I decided to treat OBP as a more reliable category than BA. So, when Joey Votto was nominated first I bought him, for $5 below my bid max on him (but for $4 more than his BA bid price was). But it turns out no one else was willing to pay the full premium on OBP, so after Votto I kept getting decent OBP guys for BA par prices. Bargains every one, in a sense. The Problem: I have an awesome team of stars, but early in the season many of my scrubs didn’t play much. Plus Ryan Zimmerman got hurt. I trail in at bats by a huge amount, but am competitive (barely) in the quantitative stats. And I have a big lead in OBP. I needed to convert that OBP lead into hard hitting assets. What Happened: Phil Hertz has suffered a horrendous run of injuries to his corners. He sent an email last Saturday asking for a corner in exchange for an outfielder. I said I had Votto, who has been on the DL with a bad knee (the same knee he had multiple surgeries on before) and it was announced would not be back this Saturday (31st), when he was eligible. I sent a note to Phil saying I had Votto and in the right circumstances would trade him, but given his injury wasn’t sure what the market was. I said I’d consider an offer. Next: Phil offered Matt Holliday, who has a decent walk rate, but doesn’t have as much power as Votto. Given the injury risk it was a fair deal, but the problem for me was that Holliday was kind of a Votto lite. He’d protect my OBP, but I couldn’t expect more homers from him if both he and Votto were healthy. In fact, I had to assume I’d lose homers. Not a bad deal for injury mitigation, but not a deal that addressed my needs. Counter: I told Phil I would make the deal for Jay Bruce. Bruce hasn’t had the on base skills of Votto, but he’s hit more homers. And he’s stolen more bases, especially more than a knee-sore Votto would. So, more quantitative numbers in exchange for a way better OBP hitter with health issues. It was easy for me to say yes. For Phil, who is close to the OBP bottom, Votto may come with some risk, but he brings huge rewards if he stays healthy. You can count on OBP, it is a skill. The Tickler: Phil asked for $3 FAAB to offset the injury risk. I thought the deal was fair as it was and said so, but countered by offering him $1 FAAB. He accepted. Deal. Conclusion: My hope had been, before Votto got hurt, to deal him in June to a team at the bottom of the OBP pack for two more productive quantitative players. In other words, trade OBP for AB. But when Votto got hurt, and when the Reds started saying that he might not be 100 percent all year, I thought it made more sense to go for a power hitter now. Jay Bruce: One problem, of course, is that Bruce isn’t acting like a power hitter at all this year. He’s hitting more grounders, has only hit three homers. Oh, he’s sucked. I call this buying low. He’s a 27 year old power hitter. If he’d been himself Phil wouldn’t have traded him. I think. But I’m scared, of course, because Votto could get healthy quickly (he played catch today!) and he’s a better hitter than Bruce. And something could be wrong with Bruce. Of course it could. Bring it on. Patrick Davitt is a fantastic interviewer, which makes me feel just a little smart or witty or whatever I’m going for when he has me on. 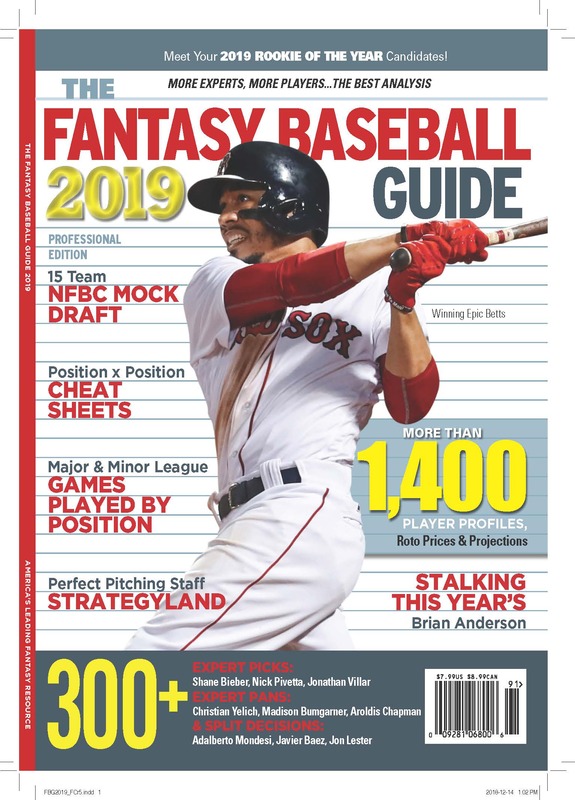 I’m on this week, talking about Tout, Doubt and JD Bolick’s Guide to Fantasy Prospects,Â which my ebook company, Booknoise, published recently. In my picks and pans at the end of the program I demonstrated my perverse fixation on the Twins this season. Brain Walton On Doubt Wars! Sign Up Soon! We’re running a contest over at toutwars.com. You shadow draft an AL, NL and/or Mixed Doubt Wars team based on the prices paid in last weekend’s Tout Wars auctions plus $1. Brian Walton of Mastersball explains it all in his story here. A spreadsheet of the draft results and eventually, hopefully, transcripts of the chat room, are available at http://www.toutwars.com/?p=2446.